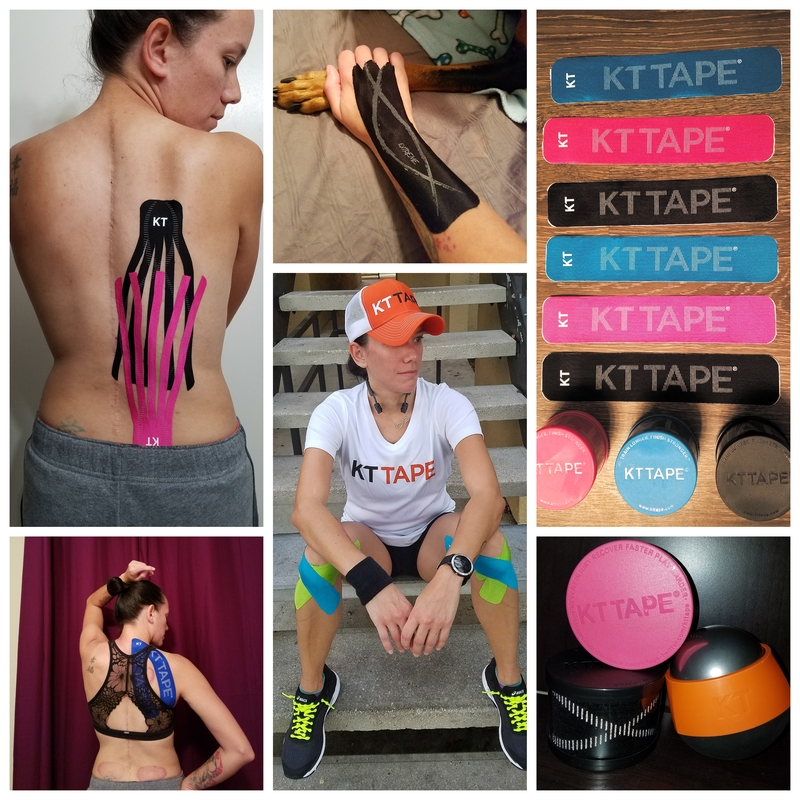 As runners, there are many things we need to have when we go out for a run, or even a walk. But the most important piece a runner should carry is a GOOD pair of running shoes. Even though you may have a closet full of sneakers, sitting there collecting dust, they are not a good choice. It is important to wear proper running shoes fitted for you because you can reduce the risk of injury, and improve your running form. Yes, running shoes are not cheap at all! But think about it…you spend $100 on a pair of running shoes that help you run properly, and keep you from getting hurt and run a successful marathon, OR you wear any ol’ pair of shoes and spend more than $100- going to the Doctor, getting medicine, and getting therapy done??? Yea, I rather wear a GOOD pair of shoes that keep me running safe! 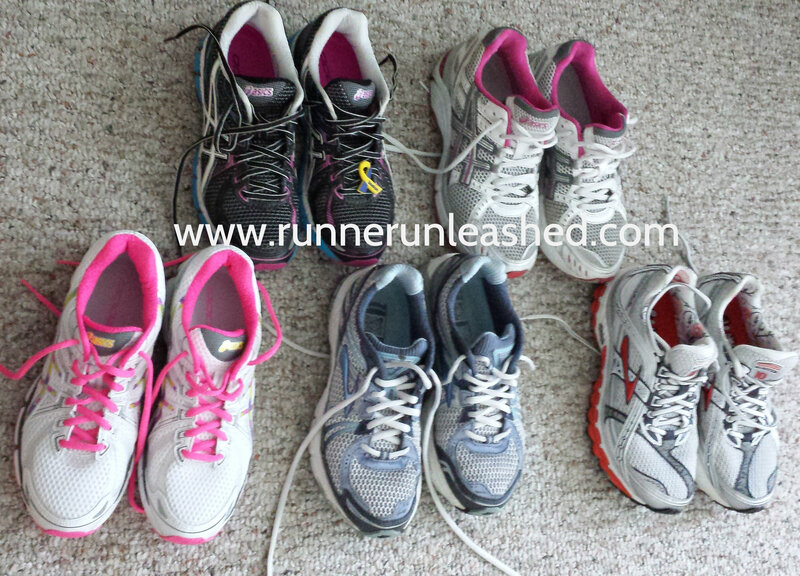 We all run differently, and have different needs when it comes to shoes. Many things are taken into consideration like: your biomechanics, weight, where you run and the shape of your feet. I get asked a lot about what shoes I can recommend or what shoes I wear. Just because I have found the perfect shoe for me, doesn’t mean it will be the perfect shoe for you. Like I said, we are all different. Alpha loves his Saucony and won’t trade them. 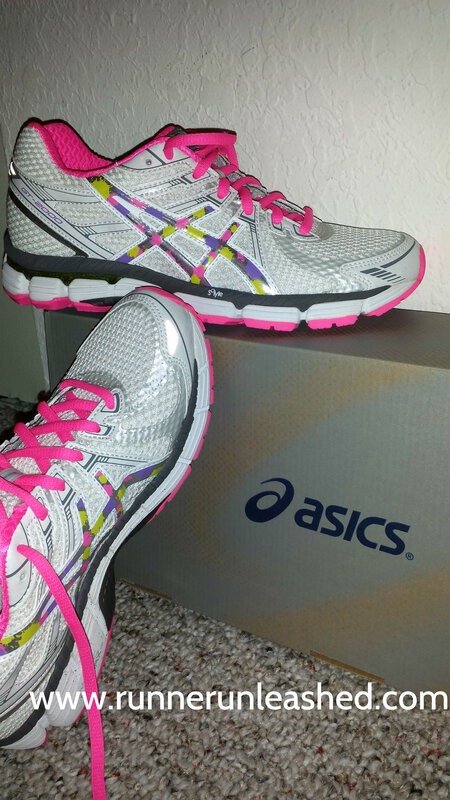 I can’t run in those shoes, my preferred “magical shoes” are my Asics!! Stability shoes: is a good match for mild to moderate overpronators. You need a shoe with good support and midsole cushioning. Performance shoes: They have varying degrees of support and cushioning, they’re generally lighter and narrower than other running shoes. Recommended for racing. Minimalist shoes: have quick responsiveness and a very little to no cushion shoe. 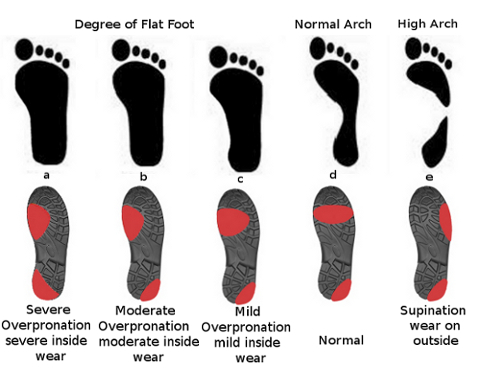 Know your foot- You also have to look at your foot type which can determine how you run, take a look at the arch on your foot. If you can’t tell which kind of arch you have, wet the bottom of your foot and leave a wet mark so you can see and match it up to one of the pictures. You can also look at the bottom of your current running shoes and see the wear pattern on them. Do you know your style of running? 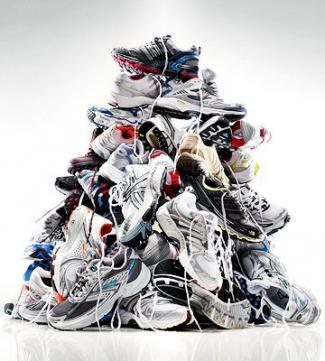 Go to a running store- Finding the right running shoes by yourself can be difficult, so I suggest going to a running store where they can look at the way you run, what you need, and help you find the right pair of shoes for you. I would say to go to a store that the employees will actually watch you run instead of putting you on a machine, and letting that do all the work. 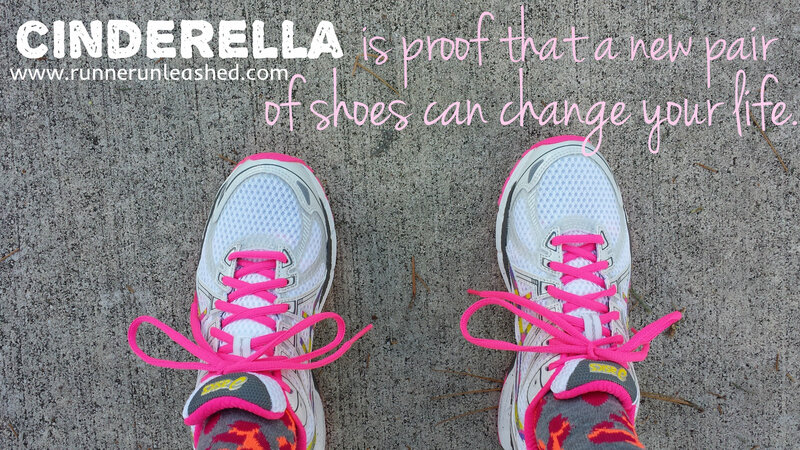 Finding someone who is knowledgeable and knows about the latest running shoes is VERY beneficial! My preferred place to go here is to Track Shack!! Everyone there is friendly and VERY helpful. They all know me and my husband. They always give tips to run better and efficiently. That is where my Shoe Doctor aka Andres Fernandez is at!!! With his help, and my discipline, we are getting to solving my chronic shin splints problem! He has always put me in “magical shoes” and running a lot better and more comfortable. They also hold monthly classes for things running related from nutrition, stretching, and proper running form clinics. The owners Jon and Betsy are FANTASTIC!! I love them, and they also raise money to give to charities through out central Florida!!! Change your shoes- Think of your shoes like tires, after some miles on your tires you need to replace them right? Otherwise, the car will not run efficiently with overused tires. Shoes work the same way. Run about 300 miles or so per pair of shoes. By doing so you are lowering your risk of injury and keeps your biomechanics in line. 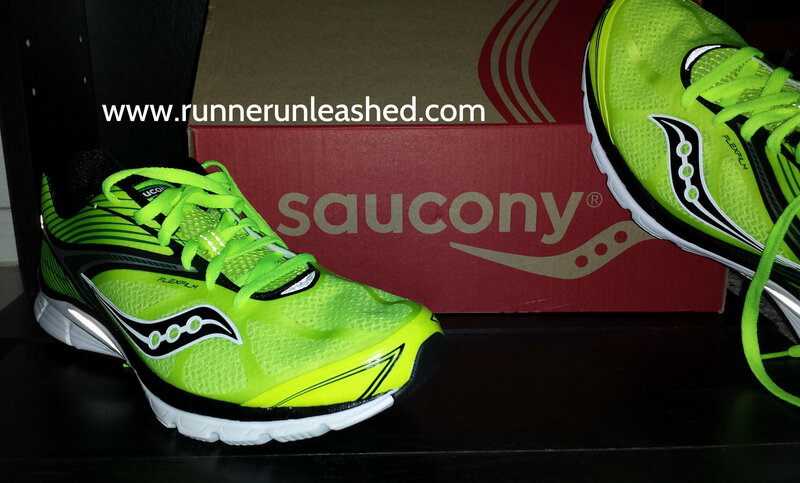 Don’t just go for the colors- It seems to me that running shoes are getting brighter and more funky in color now. As some of you might pick shoes depending on the color of the laces and the bottom of the shoe, I recommend focusing on what feels most comfortable, and what helps you run with better form. Most shoes come in different styles and colors. You can ask at your running store if they carry a certain color you want and they can order it for you. 1.- Your heel should fit snug but not tight, slight heel movement with comfort. 2.- The shoes should bend at the same point where your foot flexes. Put your toe into the ground and make the shoe bend to see where the crease is. If not arch pain or plantar fasciitis can develope. 3.- If the shoe is fitted to your foot type, go for a quick little jog around the store. This will give you a better perspective of the shoe you are trying on, and helps you determine if it’s the shoe for you. 1.- Buying shoes that are too small. Smaller size running shoes will cause blisters, and black toe nails. That is why I recommend going later in the day where you have been on your feet all day and after 5 pm or so they are at their biggest. 2.- Don’t assuming your shoes size for all brands. Some shoe brands run larger/smaller than others. Trying on a half size bigger/smaller will make a difference. 3.- Don’t worry about looks and fashion!! Worry about feel and fit!! Like I said many runners go for how the shoe looks and not how it fits!! I’m going to refer to this every time I go to buy a new pair of running shoes. Thanks! Previous Previous post: Another month in marathon training down!